We are an authorized Featherlite, Exiss/Sooner, Sundowner, CornPro, Haulmark, RC, Diamond C, Moritz, ATC, PJ, and Carry-On dealer and also offer many brands of pre-owned trailers. We are happy to accept your trade and offer financing. We offer sales, parts, and service. 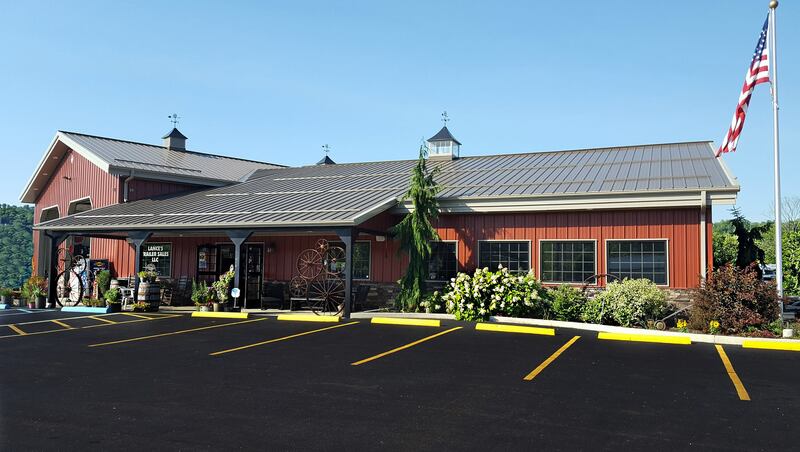 Lance’s is easily accessed on the service road running parallel to Ohio Route 50 just east of Athens. Look for the Paint Horse on the top of our sign! We have a comfortable customer lounge if your friends or family would like to wait while you shop or while your trailer is being serviced. 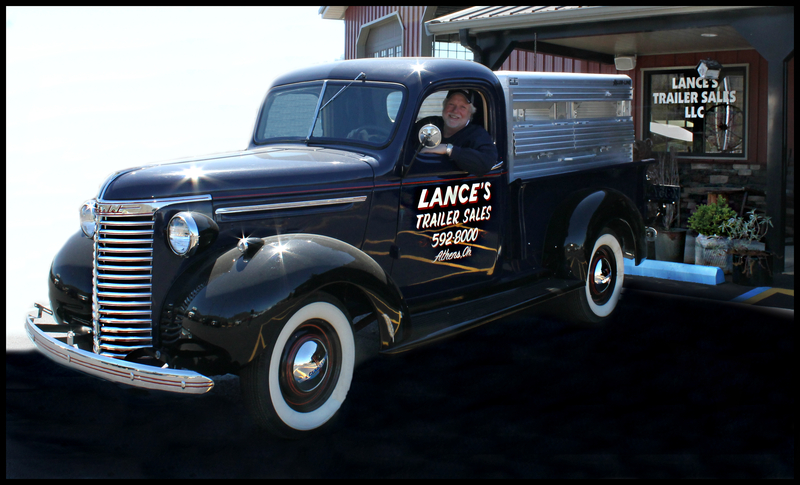 Our goal is for you to have a pleasant experience with Lance’s Trailer Sales… Your Trailer Store For Life. 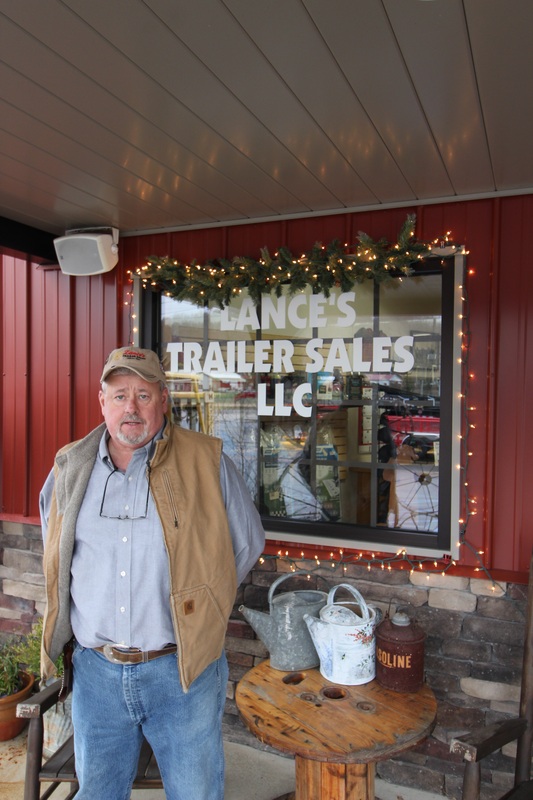 Come in and let us show you why Lance’s Trailer Sales is the place to purchase your next trailer. 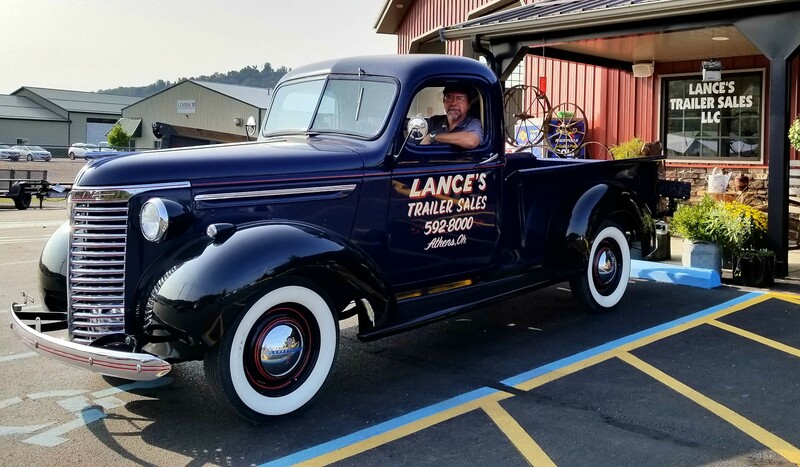 Chris Lance, owner and operator, has a long history in the automobile and motorcycle industry and is a muscle car enthusiast. You may see him at local car cruise-ins and shows with his Buicks. He also owns a registered paint horse named, Zippos Cappuccino. Chris is extremely focused on Excellent Customer Service. Jenny Lance is the creative side of the couple. She owns a registered Quarter Horse named Moonhead and is an avid trail rider, member of both the Athens County and Lorain County Ohio Horseman’s Councils, and previously was a Contributing Writer for the Horseman’s Corral with her “A Trail Horse is a Performance Horse” column before getting so busy with the store. Jenny will be planning fun events for the dealership and keeping you up to date on all happenings. Chris Hanning has been in sales for 30+ years, mostly in the Athens OH area. He was owner/operator of Chris’ Auto Barn & Trailer Sales in Trimble, OH. Most of his career has been in sales & helping people. Chris is looking forward to working with you. Chris & his wife of 10 years currently reside in Bishopville, OH. Raven Williams grew up in the Athens area. She, her husband Ethan and their children, Kyla and Carson, operate Williams Family Show Pigs in addition to working off the farm. They specialize in raising, showing and selling Yorkshire and cross-bred pigs. During the summer you'll find the Williams family at the OH-PIGS Summer Show Circuit all throughout Ohio. 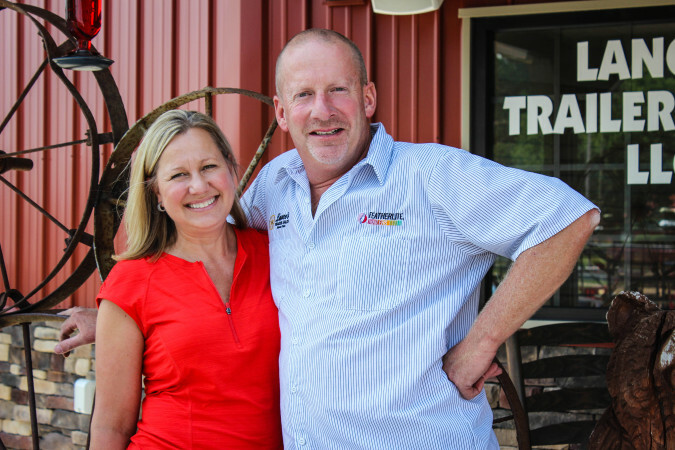 Raven is looking forward to helping you find the perfect trailer for your farm, business or personal use. Hannah Oberlin was born and raised here in Athens, Ohio. 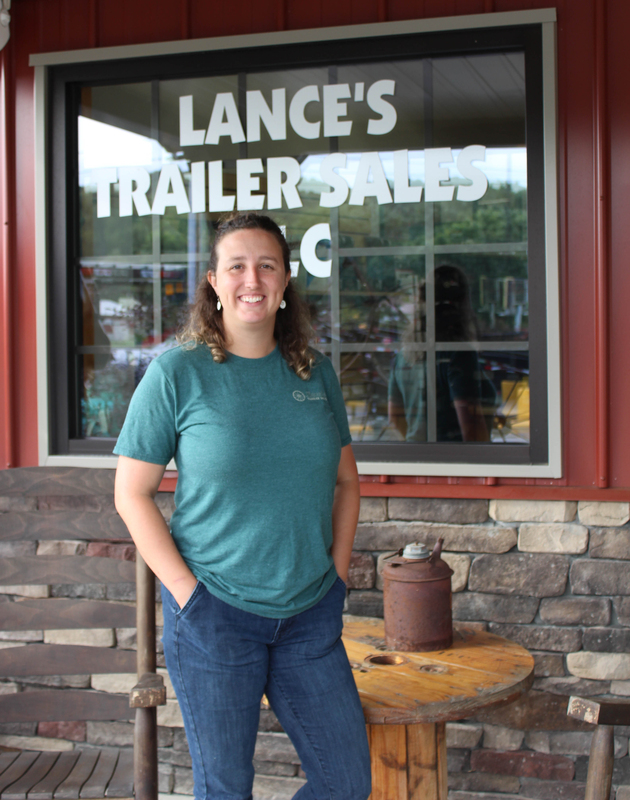 Before joining the Lances Trailer Sales team she helped operate her family's local dairy farm. Aside from a sales associate, Hannah spends her time as hockey mom with her son, August. In the summer months when Hannah's not at the rink, she enjoys gardening and spending a relaxing night by her fire pit. 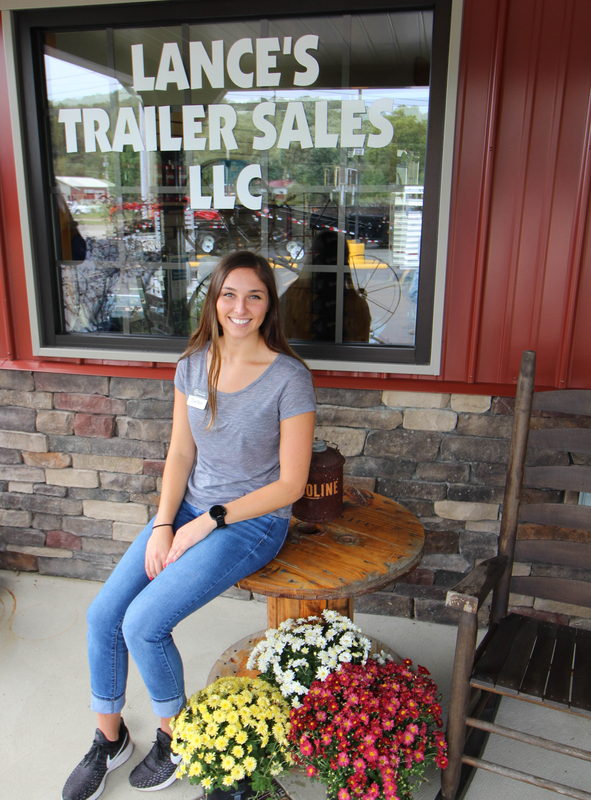 She's looking forward to meeting you and helping you find the trailer that best fits your needs! Our Parts/Service Manager, Matt Hoisington comes to us with experience in the field of tires/automotive service. Matt and his wife Tammy reside in Athens, OH. Matt is a long time member and currently serves as The Sons of The American Legion Commander Post 21, Athens and also District Commander. In his spare time, he enjoys spending time with his grandkids and attending dirt track races. Matt is also in charge of our new Nitrogen Tire Filling Station and Propane Fill Station!! Stop by or call today! Kayla Nicholson is the social media and marketing part of the LTS team. She grew up in Athens, OH and graduated from the Ohio State Univeristy. 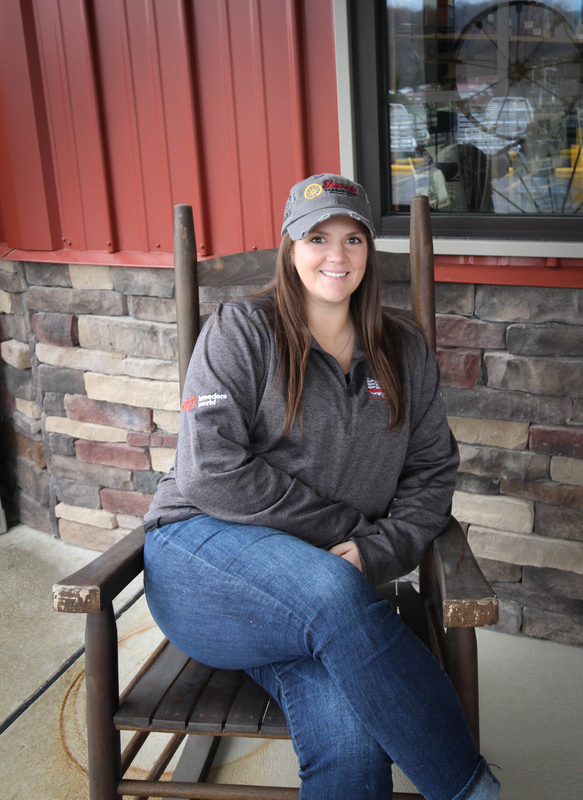 Before joining our team, Kayla spent her time traveling and gaining experience in different sectors of the agriculture industry. In her free time, you'll find her relaxing with her German Shepard, Gunner, traveling, or spending time with her family at cattle shows. Kayla looks forward to capturing all of LTS greatest moments. Stop in and say hi! Clayton Conklin is from Long Island, New York but now lives in Athens, Ohio with his wife, Vallisa. Clayton is the trailer machanic part of our team here at Lances Trailer Sales. He's the proud father of 4 and grandfather of 11. When he's not working, you'll find Clayton farming, fishing, riding his motorcycle, or tending horses. Stop in and say hi to Clayton, he looks forward to helping you! Adrian Hartman was born and raised in Athens County but attended the University of Findlay. After a short stint away she moved back to Athens with her husband, Abe. Show owns and operates the Live Local magazine of Athens but spends all of her free time with her horses. She enjoys showing her Quarter Horse in Ranch Horse classes and and sorting. Let her help you find the perfect trailer! Taylor Hatfield keeps the numbers in line for the Lance's team. As a former collegiate athlete, Taylor received her Bachelors of business management and accounting from Ohio Univeristy and is now pursuing her MBA. When she gets time to herself, Taylor loves to run or relax watching netflix with her dog, Lilly. 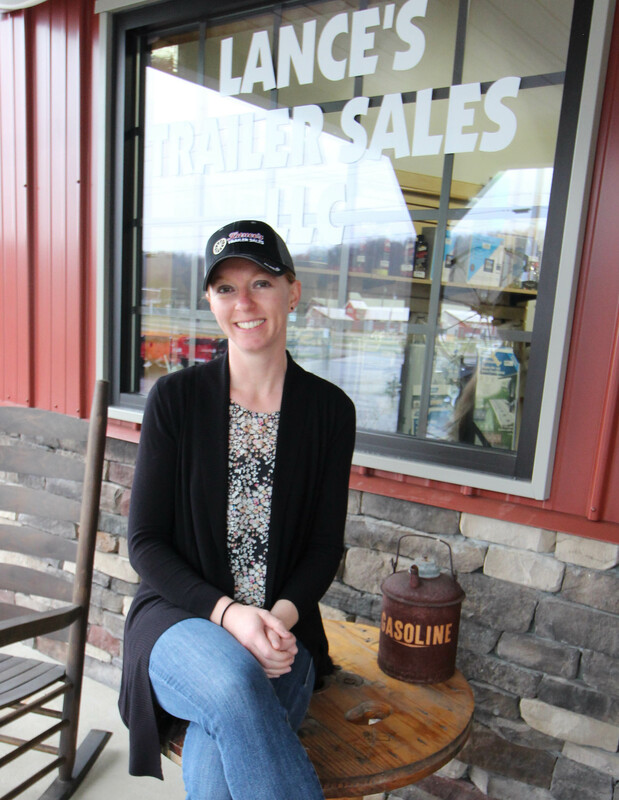 She looks forward to helping the Lance's business grow, and we're sure happy to have her! Randy Smith joins us with over 30 years of trailer industry experience focusing most of his career on horse trailers and manufacturing. Born and raised in north western Pennsylvania, Randy's career has led him as far west as Oklahoma to live before he made his way back to Somerset, OH where he now resides with his wife, Danielle and his 3 children. Randy has a love for Quarter Horses that started when he was young and continues to this day. He still enjoys training/breeding, selling, and showing reining and pleasure horses. 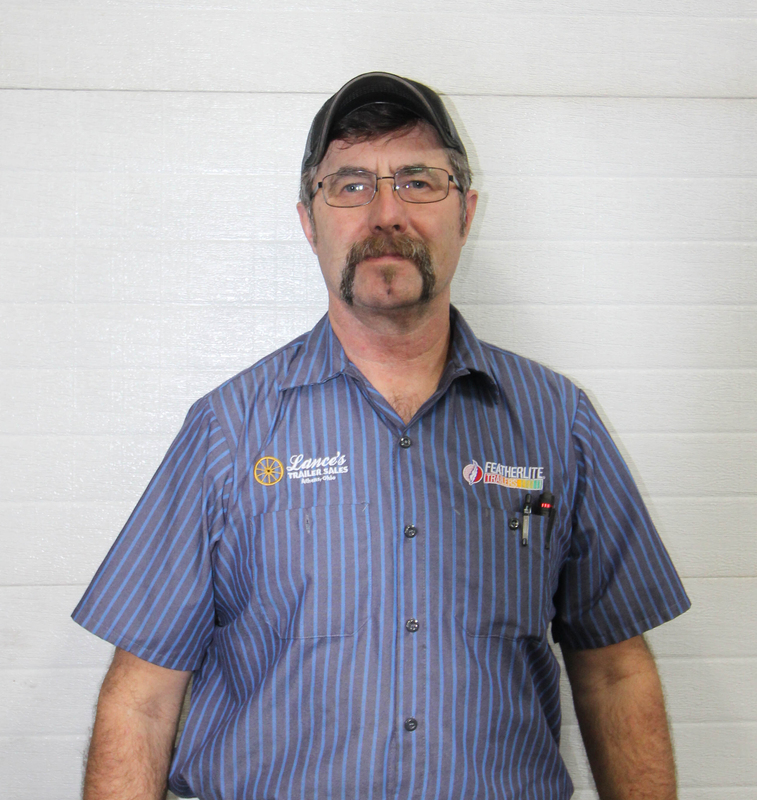 Randy is excited to join the Lance's team and looks forward to finding the right trailer that fits all your needs!